Welcome to Wow! Hope your week is going well and everyone is in the full swing of summer. 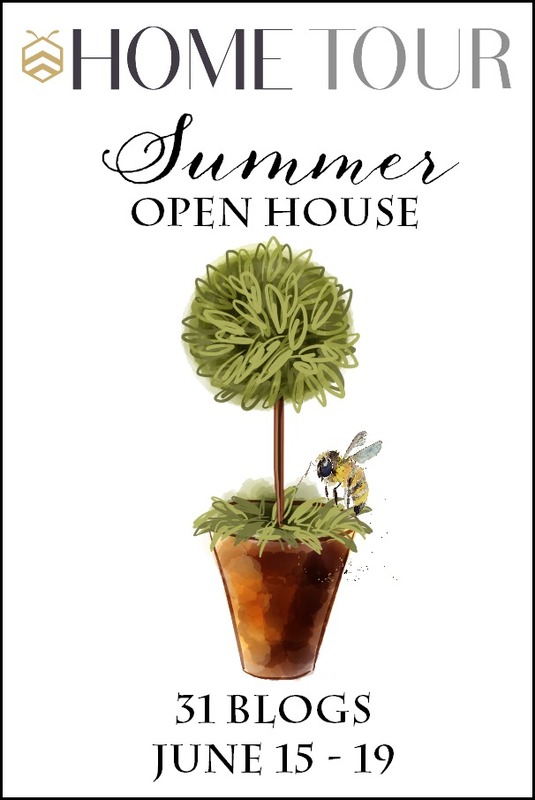 Have you been enjoying the summer open house tours so far? Yea, me too and don't forget mine is on Thursday so I hope y'all come back. Today's line up is below so I hope y'all check those out. Wowsers there were lots of links last week and tons of inspiration. Here are just a few features. 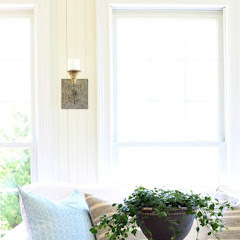 Pretty home tour which includes her pretty sun room by Hymns and Verses. 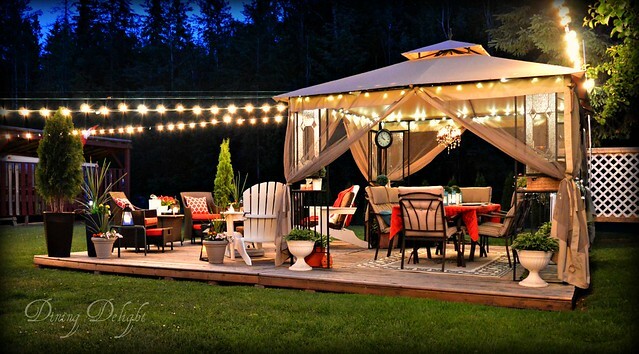 Such a pretty outdoor space and the added lights make it even better. See more at Dining Delight. A very ugly $1 thrift store find was transformed into this beauty by Our Secondhand House. You must see the before. 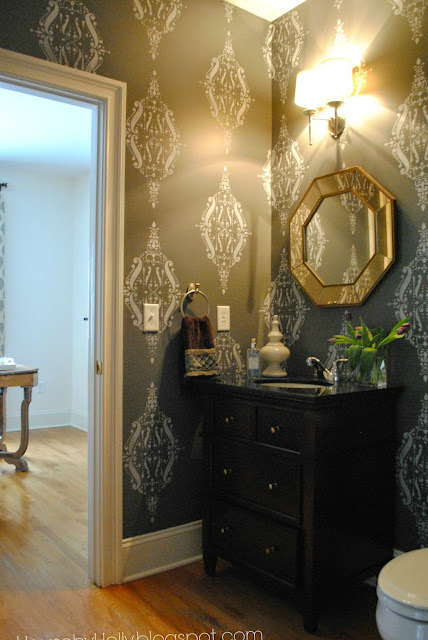 This is a new dramatic look in this powder room shared by House by Holly. Sorry the watermark is cut off. I had to straighten up the photo. Lemons and summer just go together and Simply Suzannes shares a lemon bundt cake recipe. Thanks to all who joined last week. Here is Wednesdays' Summer Open House Line Up and there's a giveaway, too. All the info is at each of these links. LOVE that powder room!! Thanks for hosting Kim. 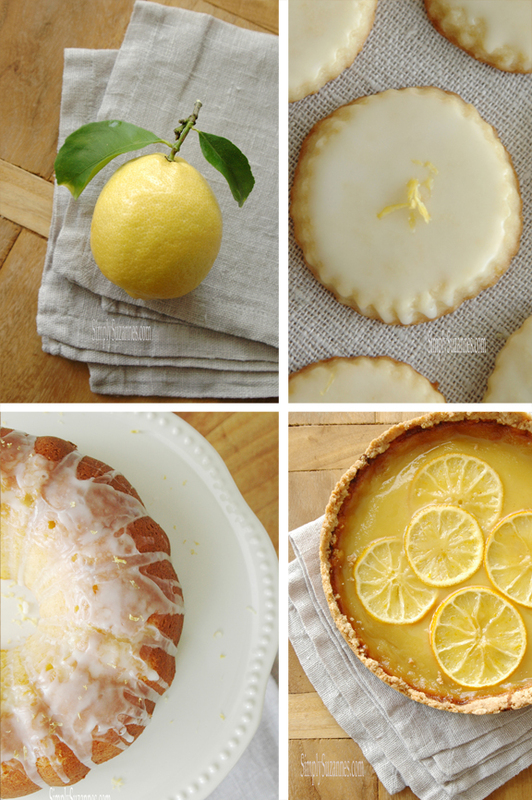 Crazy excited to see that you featured my LEMON desserts! You made my day! Wonderful features, Kim! Thanks so much for hosting another week! Thanks for the party Kim! 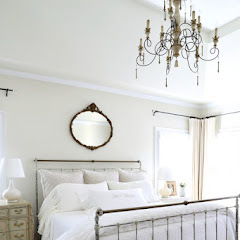 I've been following along the beautiful home tours, can't wait for yours! Thanks for hosting Kim, hope you're staying cool! thanks so much for the party Kim, I am just crazy over the walls in the powder room feature, gorgeous! Oh my goodness - anything lemon catches my attention. Suzanne is pretty much the best baker in blogland. Thanks for hosting us, Kim. Kim, Thanks so much for the party! I love to see the amazing features and what everyone has been up to! Thanks so much for the party, the features were awesome! 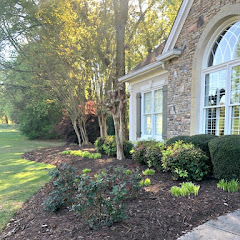 Love that outdoor space, thanks for having us over, Kim! Suzanne's lemon delights are making me hungry. I think I need to make a lemon pie or cake very soon! 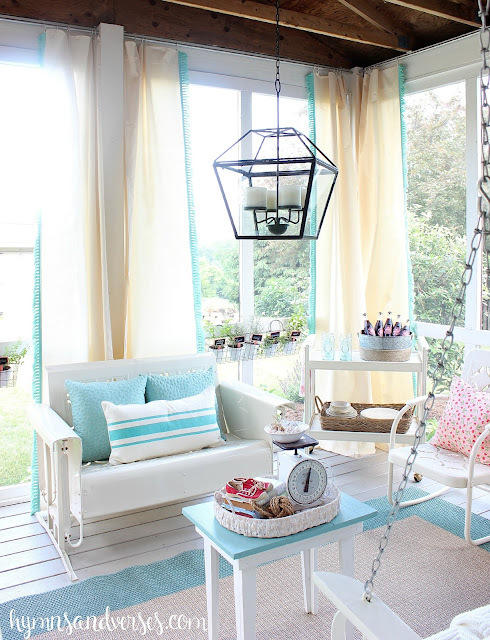 I could live in the turquoise and white sun room. Thanks for hosting. Stay cool in this Southern heat. Love the powder room in the features, lovely. Thanks for hosting. Thanks for the party Kim - beautiful features ! nothing more magical then outdoor lights on a summers night! I'm very flattered you chose to feature my Outdoor Lighting post Kim! I'm very grateful and appreciate the exposure to my blog. 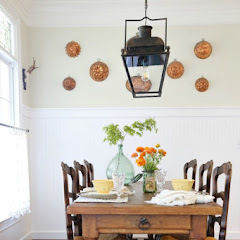 I've been enjoying the bHome Summer Home Tours and look forward to yours. Thanks for hosting this wonderful weekly party! Thank you so much for the party Kim. Hope you like my posts. So many awesome features. Thanks for hosting Kim! Kim, thank you so much for featuring my poor ugly chair makeover! Thanks for hosting. Love the lemon treats! Thanks for the party, Kim. 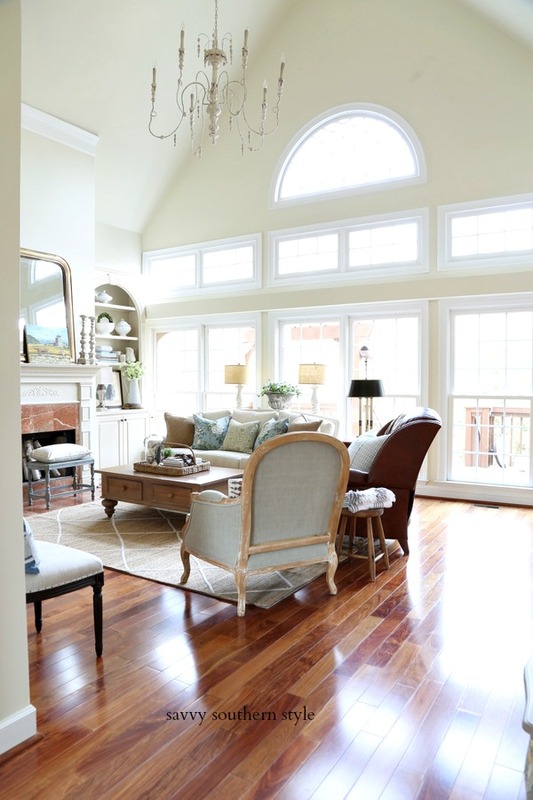 That first feature is just stunning....perfect summer room! So many fun ideas ... so little time! Love the features Kim. Thanks so much for hosting. 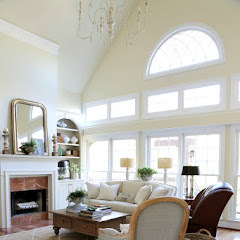 Great features ... love the outdoor spaces and the great chair makeover, love everything lemon and gasped at the powder room walls....Seriously thinking about adding a bold wallpaper/mural to mine...Thanks for hosting Kim! I'm wowed by the beautiful features! Thank you for hosting the party, Kim! Thank you for hosting, Kim! There were some beautiful features! Thanks for the party Kim! Hope you are having a great week! Happy Wednesday Kim and thank you! Hello, Kim! The house tours were wonderful! 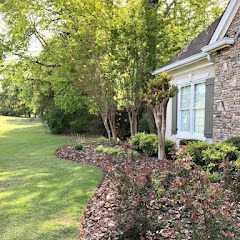 I can't wait to see how you style your new outdoor area. Thank you for hosting the party. Happy Wednesday! Lovely features! Thank you for hosting, Kim! Oh my gosh, Kim! Thanks for the feature! Last evening I was out at an auction and this morning I've been busy with projects and just went to check my blog to see lots of visitors from SSS! You are awesome! I'm gonna try to catch up on home tours this evening - can't wait to see yours! Love all the features, and I really like Dining a Delights outdoor living space😍 Thanks for hosting Kim!